I am not, by any means, ready for fall. I'm only divulging this because, if you're like me, marshmallows conjure up images of blustery days with red and saffron-colored leaves blowing through the air, Simon & Garfunkel, and gloved hands clutching mugs of hot cocoa after an afternoon of playing soccer...okay, I'm kind of ready. So fall, call me maybe? Homemade marshmallows are beyond divine. They're so much softer and sexier than their premade, Stepford wife-like cousins. Once you bite into one, you'll understand. Promise. yields about 1 pound, which = a lot of marshmallows! Preparation: Line rimmed baking sheet (make sure the edges are at least 1-inch high) with parchment paper. Generously coat the paper with potato starch (or cornstarch, if using). Have a candy thermometer at hand. Back to the syrup: As soon as the syrup reaches 265 degrees F, remove the pan from the heat and, with the mixer on medium speed, add the syrup to the egg whites, pouring it between the spinning beater and the sides of the bowl. Add the gelatin and continue to beat for another 3 minutes, so that the syrup and the gelatin are fully incorporated. Finally, beat in the vanilla extract. Dust the top of the marshmallows with potato starch or cornstarch and let the marshmallows set in a cool, dry place. They will need at least 3 hours to fully set. Once they are cool and set, cut the marshmallows with a pair of scissors or a long thin knife. Whatever you use, you’ll have to rinse and dry it frequently. 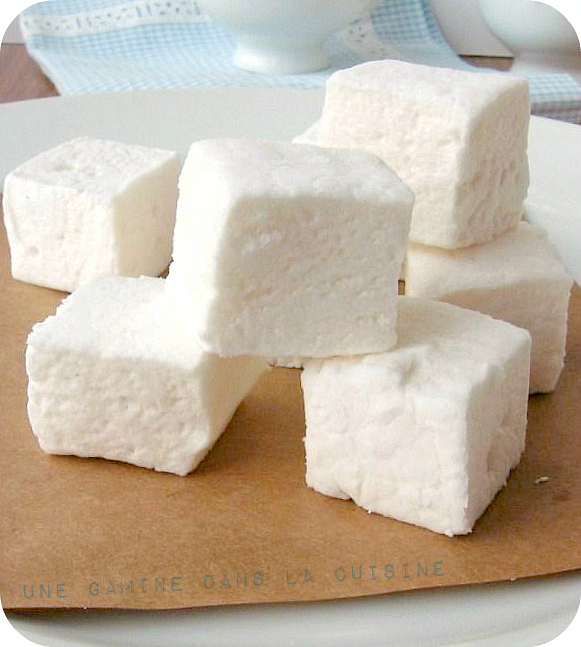 Have a big bowl with the remaining potato starch or cornstarch at hand and cut the marshmallows into squares. As each piece is cut, drop it into the bowl. Once you have a few marshmallows in the bowl of starch, toss them around until they're evenly coated. Transfer the coated marshmallows to a serving bowl or cup of cocoa. Repeat with the remaining batch. Delicious looking! Those are perfect and so irresistible. Marshmallows are a personal favourite. All that soft sweetness can't be beaten. As usual, your photos are crisp and clear and delightful. 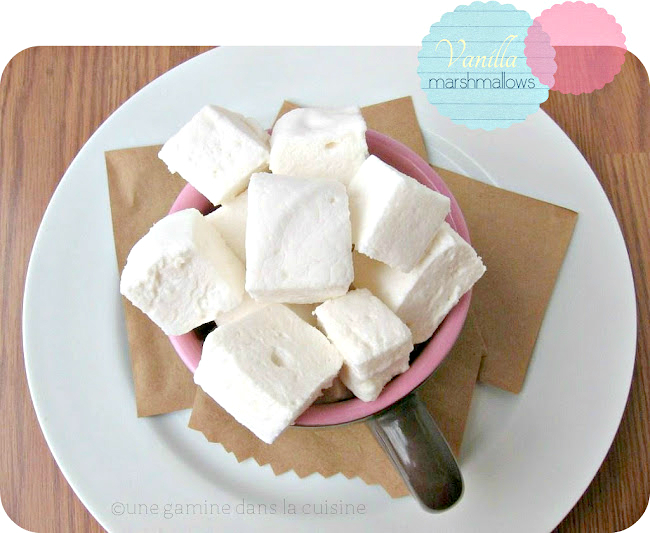 I love homemade marshmallows! These look beautiful. Homemade marshmallows really are wonderful. I've made them as part of a dessert, but never to eat on their own. I keep thinking this would make this ultimate s'more! I love homemade marshmallows! Yours are lovely. hahaha - you always have me laughing! "Call me maybe" was actually going through my head when I read that. I completely agree that homemade marshmallows are nothing like store-bought. Yours look especially delish! so, i've been on this kick lately of having ghetto-style s'mores (using my creme brulee torch instead of actually having a bonfire...) and it has crossed my mind to not only make the graham crackers and chocolate from scratch, but also the marshmallows. methinks 1lb of the stuff is a bit much tho! :) i would like to attempt this, but will probably halve it instead. looking fwd to it! 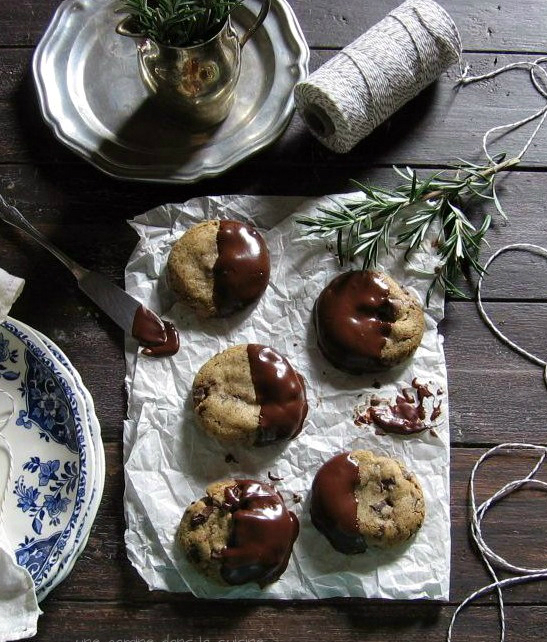 your marshmallows looks amazing - like little pillows of fluffy goodness. i'm all ready now to make some hot cocoa and these marshmallows, once this heat wave here breaks! Is there alternative to corn syrop?